The Lit Cosmetics Liquid Metals retail for $19CAN and will be sold at Sephora as a Kit. 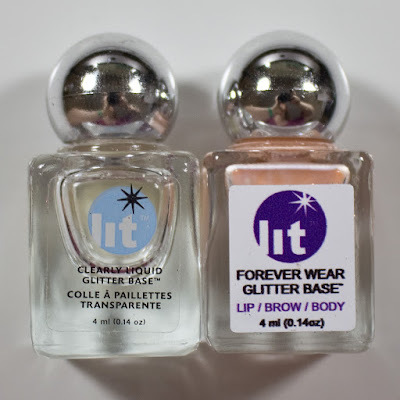 The "Forever Wear" Glitter Base retails for $12CAN for the 4ml jar. The Flat/Liner Duo 5" Brush retails for $16CAN. 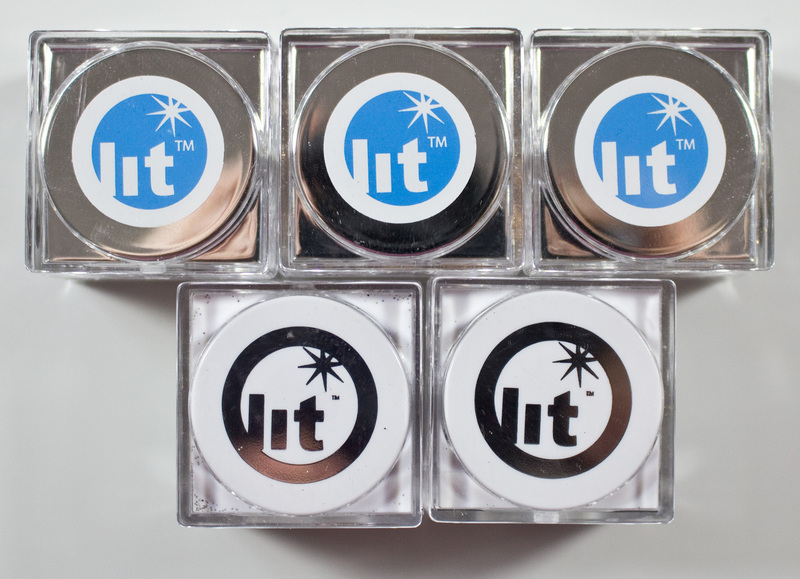 Lit Cosmetics Lid older and new ones. 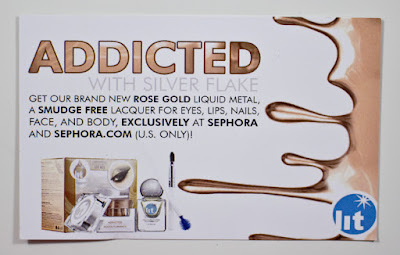 Lit Cosmetics Liquid Metals Addicted Silver Flake sold at Sephora Kit. Flat/Liner Duo 5" Brush flat side. Flat/Liner Duo 5" Brush line side. Water, Acrylic Emulsion, Glyceryl, Guar Gum, Soritol, Benzyl Alcohol (as preservative), Fragrance, Color. The Lit Cosmetics Liquid Metals is a pearl/mica based colour product with either gold or silver flecks in each of the shade families. 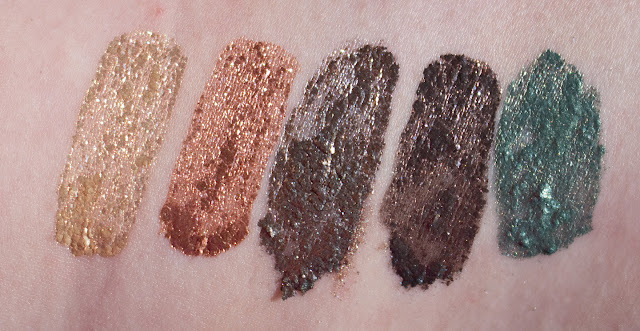 These reminded me of the Stila Magnificent Metals Foil Finish Eye Shadow but these are way more manageable and easier to apply by comparison. That said I did have some issue with applying the product with a standard lip brush I use for their glitters as it didn't have enough surface area to cover a lid. I however found the new Flat/Liner Duo 5" Brush worked wonderfully to lay down the product without absorbing all the glitter glue into the brush. Lit Cosmetics Clearly Liquid Glitter Base, & Forever Wear Glitter Base. The Forever Wear Glitter Base is a tinted liquid that dries down clear and thinly. It really adheres to the to glitter as well but I find it way more flexible on the skin compared to the original Clearly Liquid Glitter Base. When you mix the glitter with the based you get a true fallout proof cover of the glitter. This product comes in 3 scent/tastes of Orange, Mint, and Almond but they are all light in scent. 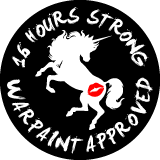 I've used this glue mostly with glitter on the lips and it holds up beautifully through the day depending on what/how I'm eating it get 6 to 12 hours with the product only fading on the inner lip. On the body, I get that 16+ day wear from it so long as I don't rub it too hard. I found I had to use a waterproof makeup remover to break this product down. I like the oil based ones because it makes quick work of this product. Lit Cosmetics Magnetic Gold Flake one both eyes 3-hour mark. and the Clearly Liquid Glitter Base, on my left eye. 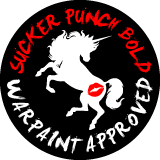 Now here is the kicker, I was having fallout issue with the Clearly Liquid Glitter Base mixed with these Liquid Metals. 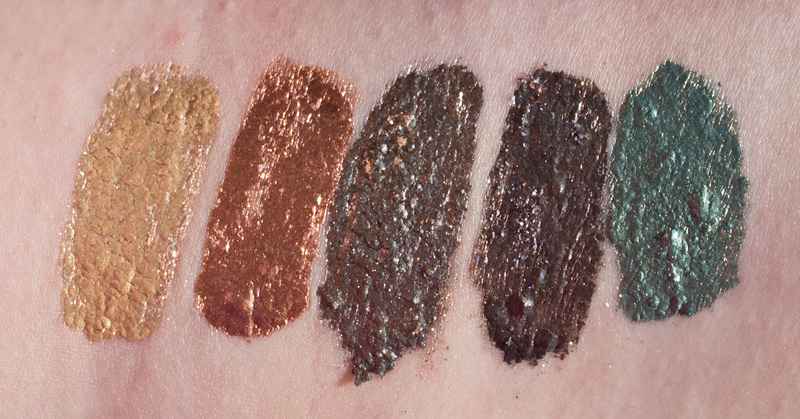 Not that there was micro shimmer type fall out, but flakes of the product was cracking off at the 6-hour mark with my hooded eyes. It seems to be the issue of these foils were making plates of product and after blinking so often, the adhesion was lost on the skin because the glue doesn't really flex anymore with these Liquid Metal powders because they solidify to a more solid sheet of product compare to smaller particles of glitter. But still lasted longer on my eyes compared to the Stila Magnificent Metals Foil Finish Eye Shadow. But the Forever Wear Glitter Base work SOOO well with Liquid Metals they foiled and layered perfectly while allowing the product to remain flexible on the lids. Now this Forever Wear Glitter Base is not suggested for the eyes but I had no issue using it and was more comfortable to wear than some eyeshadows primers that also has alcohol in them as well. No burning or irritation from the scent added and I recommend at least trying this out as the foils lasted a full day with this glitter glue. I'm also going to assume that the Water Resistant Glitter Base also work really well with these but this glue ruins brushes so it's best you use a disposable one as the glue can't be cleaned out of them. Glisten Silver Flake is a bright pale yellow gold with a high shine foil finish. Addicted Silver Flake is a rose gold with a high shine foil finish. Magnetic Gold Flake is a dirty electrum gold with a high shine foil finish. Crave Silver Flake is a plum taupe with a high shine foil finish. Enchanted Silver Flake is a deep sea foam green with a high shine foil finish. Wear: With the Clearly Liquid Glitter Base I got 5-6 hours wear with all these Liquid Metals. With the Forever Wear Glitter Base, I got 16+ hour wear. Packaging: Plastic square stackable jars with a sifter for the glitters and glass jar for the Glitter Glues. These are an interesting intentional texture like metal flakes you can get in an art store. It gives a nice organic look to metal foil eyes. There was a learning curve with these but the effect is so worth it. Next year I'm hoping that the Forever Wear Glitter Base will come in a full size I'm so sold on getting a full size of this one now.